Barrier-free is a legal requirement for buildings in downtown areas and large shopping malls. Even if there are steps at the entrance, you will find alternative access such as elevators or escalators. You will always find wheelchair accessible restrooms as well. Smaller multi-tenant buildings may have stairs only, with many steps and narrow spaces. But you can comfortably enjoy your shopping in some smaller individual shops where they have no steps. Restaurants in the city area may have steps at the door, or it may be small and narrow inside. Traditional Japanese restaurants usually have old-style tatami mat rooms and are not barrier-free. Bigger and more popular restaurants are more wheelchair friendly, with slopes at the entrance and also with wheelchair accessible restrooms. Restaurants located inside multi-tenant buildings normally do not have steps at the entrance and the restrooms are located in the same building. Family restaurants in the suburbs target families, so many of them have slopes at the entrance, and have more space inside, and are also barrier-free. Some restaurant chains have wheelchair accessible restrooms in all of their restaurants. If you have any special preference in food ( how you would like it cooked, restrictions in seasoning, or chopped food ), ask the chef, and good restaurants will cater to your needs. Many Hot Spring Inns ( onsen-ryokan ) are very old and not good for accessing by wheelchair. Some will ask you to use the private family bath instead of the big public bath for accessibility reason. You can stay in a deluxe room called the universal room, but the rate will of course be higher. The recommended way of enjoying hot springs at a reasonable price is to go to the public bath owned by the local government. You will find at least one in any of the rural cities. Many elderly people enjoy these baths, so the facility is made barrier-free. The price is cheap as well. Many have separate private baths for those who need care, and this is convenient if you want to bathe with someone in your family who needs care. Private hot springs still have steps, making it difficult for wheelchair visitors to access. It is a difficult task to set barrier-free standards for hot springs, but they will at least have to eliminate steps and install handrails. Some have gorgeous equipment and facilities in place, but those unfortunately are not well received by other visitors, because it rather spoils the atmosphere. If you have a tattoo on your body, you may not be allowed to enter because of their own regulation. We hope to change this bad rule in future. Castles are old and traditional architectures, so they are not well suited for barrier-free. 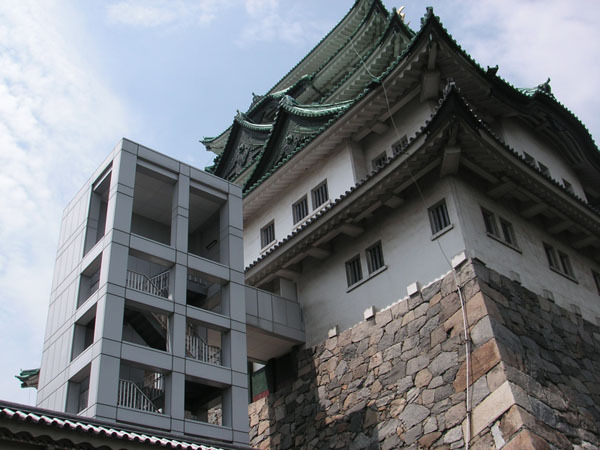 But some castles, Osaka Castle, Nagoya Castle, and Shuri castle have lifts inside to help you access by wheelchair. They were all destroyed among world war second. But wooden traditional castles cannot easily be renovated, so they are not wheelchair accessible. Very difficult to change accessible to break historical buildings. 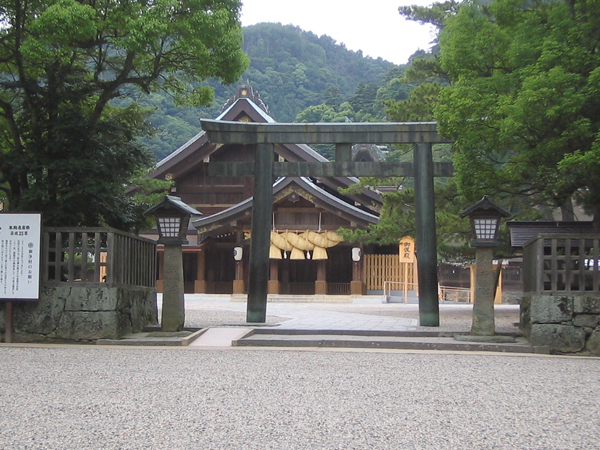 Many temples and shrines have slopes and they are built to match the surrounding environment. Handrails are installed, and the pebbles on the ground are fixed and hardened to ensure accessibility in the premise. 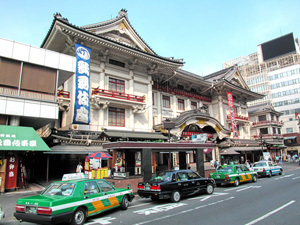 Some bigger temples and shrines offer free wheelchair rental service. However, the buildings are usually wooden structures with steps, so it is difficult to access by wheelchair. Museums are completely barrier free, and you will always find wheelchair accessible restrooms, so it is a comfortable place to go sightseeing. Even though there are stairs at the entrance of the building, you will always find an alternative route for wheelchair visitors. If you have difficulty walking long hours, you can always rent wheelchairs for free. Many museums give discount rates for disabled people who carry disability ID, but this is only for Japanese citizens. There are many amusement parks, zoos, and aquariums in Japan. Many families bring along their kids on strollers, so the facilities are made barrier-free not only for wheelchair visitors but for everyone. All facilities offer free or charged rental wheelchair services and many elderly people who have difficulty walking long distance often appreciate these services. Even old buildings are renovated and have passages for wheelchair visitors. Some attractions have wheelchair priority seats or priority entrance service, while others may not allow wheelchair guests to certain entertainment rides. Large theaters have viewing space for wheelchair audience, however the number of seats and locations can be limited. Some theaters take regular tickets and will guide you to the wheelchair space, but others you have to purchase wheelchair special seat tickets. In either case, you need to call the theater directly for reservation, and the response depends on the organizers of the event. You do not need to worry about the restroom. 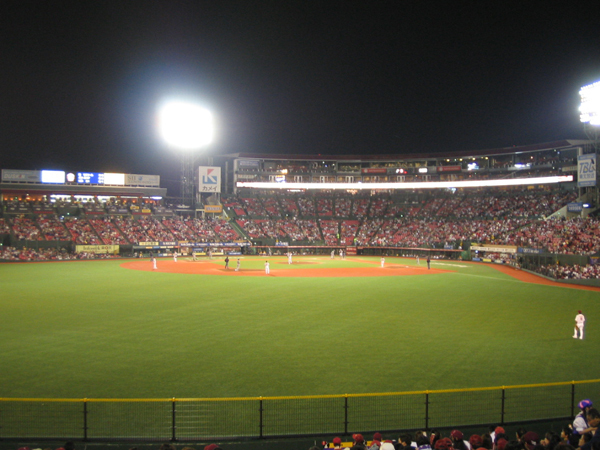 Baseball and Soccer are the most popular sports in Japan, and wheelchair seats are available at baseball parks and soccer stadiums. If it is not one of the most popular teams playing, you will be able to get a day-of-the-game ticket. For J-League soccer games, you can purchase wheelchair seat tickets at convenience stores, but for baseball games, you still need to call for reservation. Number of seats and their locations varies by ballparks and stadiums. Some allow one accompanying person free of charge. Sumo, basketball, rugby are also popular in Japan. Natural terrains with ups and downs do not go well with wheelchairs. 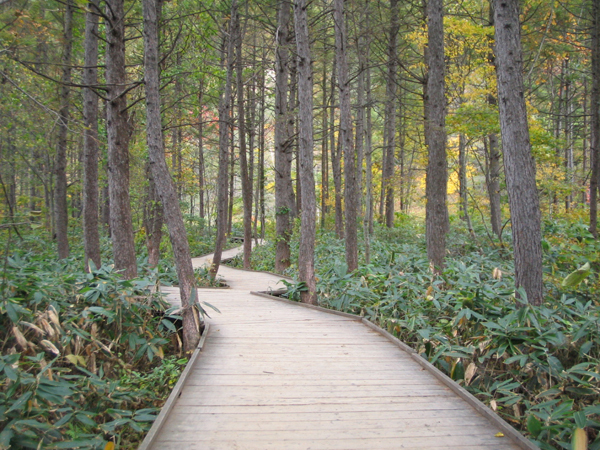 Of course you cannot destroy or sacrifice the landscape for the sake of barrier-free, but some natural parks, beaches, forests, mountains and lakes are doing their best to allow as much accessibility as possible. They have eliminated steps and made the ground more flat, and also built wheelchair accessible restrooms. More cable cars are accessible and this helps you enjoy the great nature more easily. Watching cherry blossoms in Spring is may be best season to visit Japan. However the season is 10-14 days only. The end of March and early April is the season in Tokyo, Kyoto, and many cities. North and mountain side are late April. Hokkaido is May. Cherry blossoms move south to north. Today there are plenty of cherry trees all over Japan. Enjoy the party or eat lunch under cherry blossoms. That is Japanese traditional. It does not matter you are disabled or not. Everybody enjoy cherry blossoms anywhere in Japan. Many many local summer festival everywhere in Japan late July - middle August. 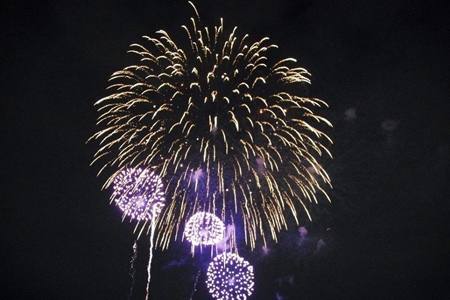 Watching fire works is Japanese summer. Each town has their own small festival to dance slow folk dance and eat street food at night. Find Japanese traditional festival. 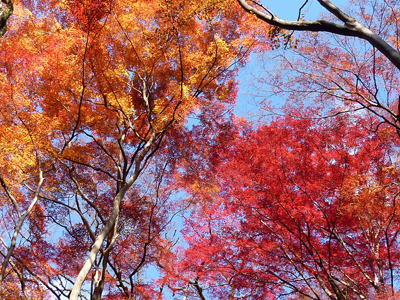 November is the season to watch autumn leaves. It depends on location and whether. Many nice temple gardens in Kyoto, but so crowded. There are plenty of nice mountains in central Japan and Tohoku areas. Do not forget going to hot spring after watching them in mountain side. Of course, we can see many red and yellow leaves in city. There are many snow in Japan, especially Japan sea side and north. Ski is popular activity in winter. Many snow park are wheelchair accessible, but the access to snow park is still problem. We need a car with snow tire. 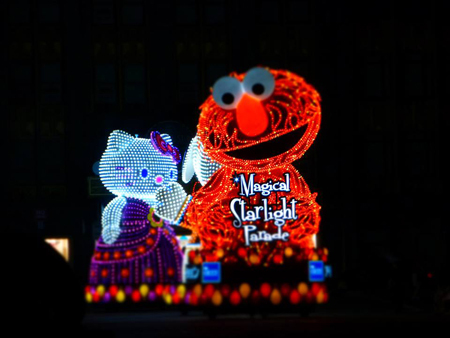 Sapporo winter festival is famous. Going to Japanese traditional hotel in winter and enjoy hot springs is popular for family and friends. Eating crab is also popular in Japan sea side.